As a building manager or real estate developer, you have a responsibility to keep all areas of your property clean and safe tenants and visitors. This includes the parking garage. Although outdoors, these large structures cater to hundreds of people and their vehicles each day, and keeping them as clean as possible helps avoid safety hazards and costly repairs in the future. The best way to clean the concrete in your parking structure is by hiring a professional pressure washing service. Request proper documentation that they are licensed and bonded. Discuss how they will manage scheduling so it has little to no effect on tenants or residents. Who is responsible for providing wash water? How will they manage waste water removal? Confirm they are OSHA compliant. Confirm they use environmentally safe detergents. Discuss your expectations when the job is complete. Do they have enough trained technician to dedicate to your job? If your property includes a parking garage, it is important you conduct routine cleaning to keep it safe for use and to prevent expensive repairs in the future. Keep these things in mind when you hire a professional pressure washing company to clean your parking garage so everything goes smoothly and you know exactly what to expect. 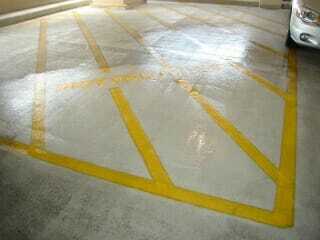 To learn more about cleaning parking lot and garages please contact us.